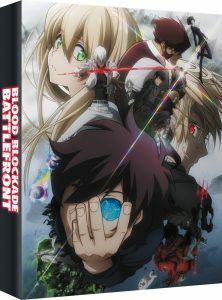 Blood Blockade Battlefront (sometimes called by its untranslated name of Kekkai Sensen, probably because despite being in a different language it still flows better than “Blood Blockade Battlefront”) is based on the manga of the same name by Trigun creator Yasuhiro Nightow. Animated by the ever popular studio Bones and scored by Taisei Iwasaki (who hasn’t done anything else, but is really good!) it all adds up to one dream project that’s hard to ignore. The story, and more specifically the setting, is often heavy on the humour along with the action, and is unique enough that I feel the need to spell it out before talking about the characters themselves. The action takes place in the former New York, now called “Hellsalem’s Lot”, which was turned into a melting pot of other-dimensional species when a giant portal to “the Beyond” opened up and connected the two plains of reality. This then leads the members of what was formerly mostly an anti-vampire organisation called Libra to do their best to deal with unruly visitors and to stop them from spreading to other parts of the world through use of “Blood Battle” styles; well, at least some of them do, anyway. Having said that, a lot of these strange beings just live and work in the city, rubbing shoulders with regular humans on TV, in the subway, etc. The art style is often on-the-nose and comical, with the other-dimensional beings ranging from small mushroom people to creatures that look like humans from the neck down but have a fly’s head or something similar. The story’s main protagonist is Leonardo Watch, a young photographer who, along with his disabled sister and parents, visited Hellsalem’s Lot as tourists but ended up being confronted by a large demonic being who demanded to give one of them the “All Seeing Eyes of the Gods” in exchange for one person’s eyesight (safe to say we’ve all had holidays like that!). Leo was too afraid to say anything so his sister agreed to lose her eyesight, giving the former both the All Seeing Eyes of the Gods and a hell of a guilt trip. The story starts with him returning to Hellsalem’s Lot alone in order to find more information on his eyes, and presumably a way to get his sister her eyesight back. Through a series of coincidences Leo ends up joining Libra, which is lead by Klaus Von Reinherz, a noble and powerful man whose only fault is being far too honest. 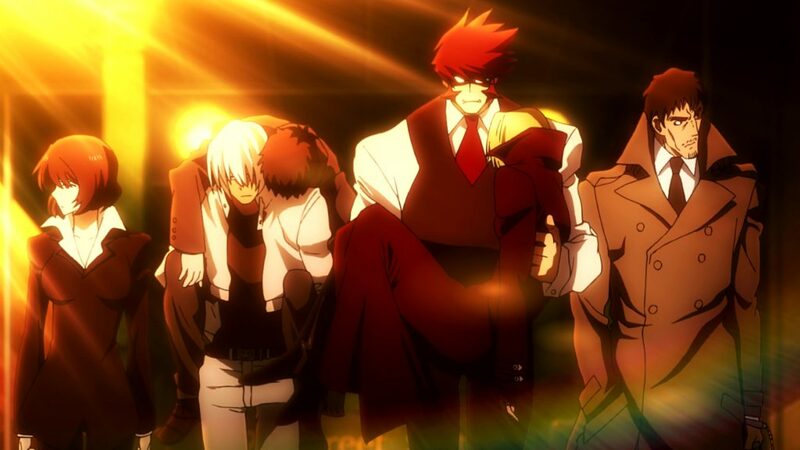 Other members include Zapp Renfro, the classic hotblooded, juvenile, womanising ‘cool’ character, Chain Sumeragi, a seemingly emotionless sniper who also does general reconnaissance work, Steven A. Starphase, a laid back guy with ice powers, and K.K., a more ‘fun’ and teasing female character with electric gun… things. 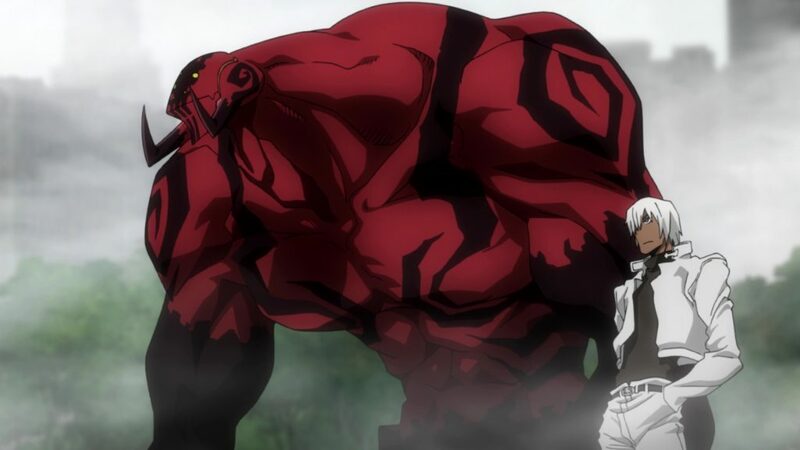 Over several episodes we meet other members of the cast, like Zed O’Brien, a rather humourless bug-like humanoid who trained with the same blood battle master as Zapp, and Blitz “Lucky” Abrams, a legendary vampire hunter who causes bad luck to anyone around him (but not himself). Now, I haven’t read the manga, but from what I know it’s very episodic. Each chapter is self-contained and there is no overarching plotline (I guess, apart from Leo wanting to fix the whole eyes thing), so when this anime adaptation was created the writers decided that it needed a story arc. Episodes 1 through 10 adapt manga storylines (though not all of them) but have two unique-to-the-anime characters who only interact with Leo here and there, a pair of boy-girl twins who nicknamed themselves Black and White. The latter female twin becomes friends with Leo, and the former, male twin hides a sinister secret that comes to a head in the anime-exclusive final two episodes (really three, as episode 12 is double-length). So often when manga material is expanded or brought to an anime-exclusive end it feels out of place and gives an unsatisfying ending, but I’m happy to report that isn’t the case here. In fact it gives the anime a big conclusion while also ending in a way where they can do a second series adapting more of the manga without it affecting anything. As I alluded to above, both the animation and music score is top notch, and if you like English dubs then you’ll be happy to know that FUNimation have done a good job with the voice cast, none of them sounds out of place. You can add a great opening in “Hello, World!” by Bump of Chicken (yes, Bump of Chicken; I’m sure it made sense to them at the time…) and a really fun ending in Unison Square Garden’s “Sugar Song to Bitter Step” to the overall package. Speaking of the package, the limited Collector’s Edition comes with a glossy 120-page art book and a lovely looking rigid box to keep it and the series inside. The on-disc extras range from a recap episode titled “Episode 10.5: Even These are the Best and the Worst Days Ever”, two “FUNimation Shorts” which, rather than coming with two pairs of short trousers, actually features voice actors and staff talking about the series, and the usual mix of textless opening, textless ending and trailers for both the show itself and for other upcoming releases. Overall Blood Blockade Battlefront mixes comedy, action and a little bit of drama extremely well. It’s full of likeable characters no matter which language you watch it in, while simultaneously being well animated and scored, with a great opening and ending to boot. A rare feat to get more than one of those things right, let alone all of them. 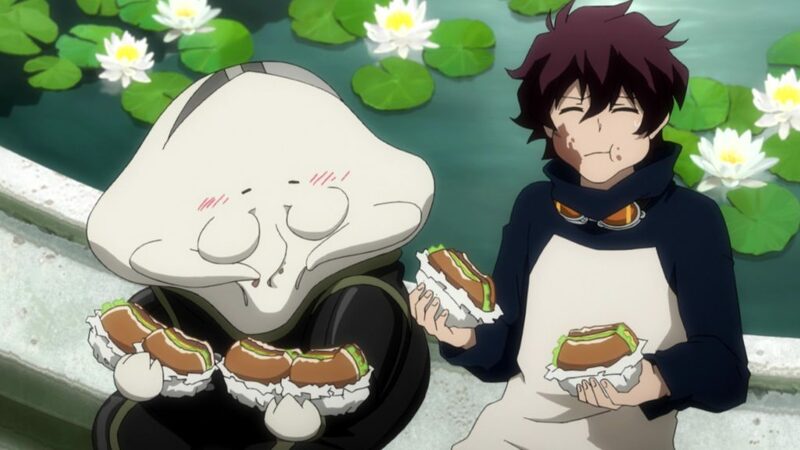 If you want to kick back and have some fun watching a fluidly-animated and great-sounding anime on your TV, you can do no better than Blood Blockade Battlefront. One of the top releases this year.